Presidents Muhammadu Buhari and Recep Tayyeb Erdogan. The president embarked on a four-day working visit to Turkey on October 18, 2017, and that trip may be yielding positive result. This week, 23 Turkish electrical manufacturing companies will visit Nigeria to meet buyers and distributors. 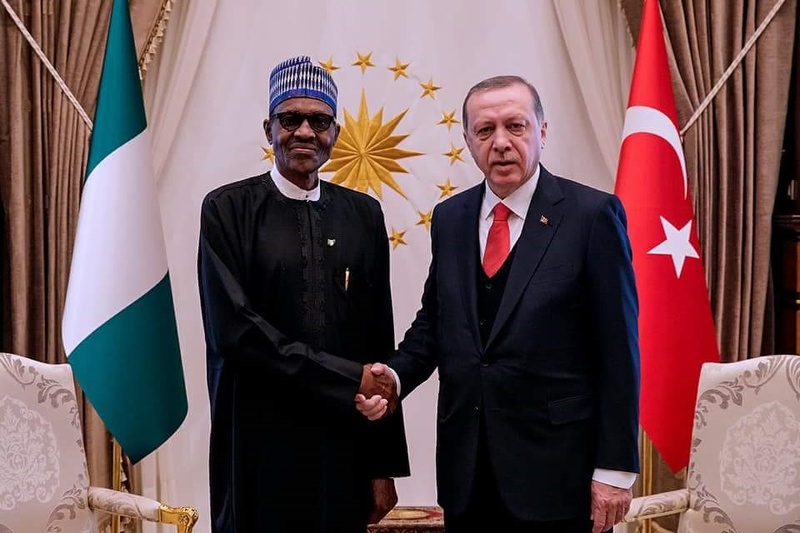 Managing Director of Naijalink Ltd Thessa Bagu revealed that the renewed Turkish-Nigerian relationship as a result of Buhari’s visit, will benefit the West African country. “Under the ambit of the Turkish Electro Technology Exporters’ Association (TET) – a professional body representing over 7,500 companies – the trade mission will showcase advanced Turkish white goods, electronics, cables and electrical production and distribution equipment,’’ she said. Bagu said the mission would comprise Turkish manufacturers, representing companies across consumer electronics and appliances, lighting, cables, electrical transmission and distribution equipment, industrial automation products and specialised cables. Buhari participated in the 9th D-8 Summit in Istanbul on October 20 and held bilateral meetings with some member-countries.